Do you feel like you’ve been picked up by a tornado called “Holiday Season”? 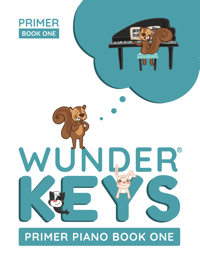 From October 1st through to December 26th, piano teachers are wrapped up in a swirling vortex of “extras”; extras that all require a lot more work and a lot more planning. As you ride out the storm, clinging to your holiday-themed materials for survival, you’re then suddenly dropped, unceremoniously, into “recital season”. And the whirlwind starts all over again. If you’re wondering how you’re going survive the holiday season while planning a recital event that will impress your studio families, we’re here to help! 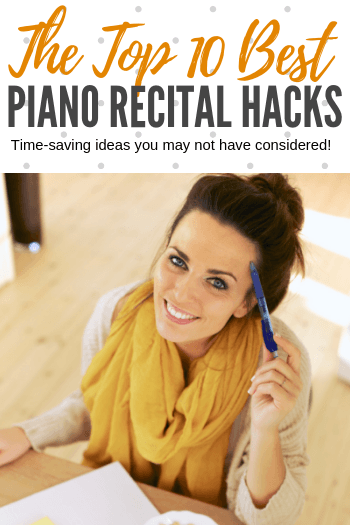 Today we’re sharing our Top 10 Piano Recital Hacks For Busy Teachers. Say farewell to the swirling storm and instead, breeze into your recital feeling calm and collected. If you typically spend the days before your piano recital rushing around in chaos, consider implementing these 10 “hacks” instead. They’ll leave you relaxed and ready to pull off the perfect piano recital. Host a pre-recital rehearsal: Two weeks before your recital, host several group lessons where recital participants can have a dress rehearsal. This will help with pre-recital nerves and preparation, ensuring no recital-day surprises. And here’s the important part… hold these group lessons *in place* of regular lessons. As everyone attends at once, this completely frees up your schedule to do recital-related tasks. 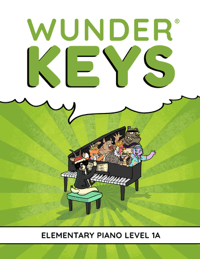 Ramp up the educational value of these group classes by teaching your students how to actively listen to performances and how to provide constructive feedback (you can even use our recital bingo for this purpose!). Download our recital speech and email templates: In the past we have written three extremely useful recital templates that will save you a ton of time: 1. To deliver the perfect recital speech, download the template found here, 2. To encourage recital participation use the email template found here, and 3. To connect with your students and families following a recital, send them the email found here. Send home a Save The Date Card: At least 4 weeks in advance send home a Save The Date Card. This gives families adequate time to prepare for your recital and avoid conflicts with other events. This will save you a ton of time that would have been spent answering individual emails and texts asking for information and recital details. Get behind a cause: Every memorable recital needs a theme, but themed recitals can be time-consuming to plan. During the holiday season, a fantastic theme is, “Music For Good” – so choose a local cause and run with it. Have a representative from that group or charity speak before your recital and provide you with some signage or decor. Make sure families are aware of the cause prior to the recital and then have a donation box displayed for people who would like to contribute. A recital built around a cause will spread warm fuzzies around your studio while showing your students that their talents can make a difference in the community. Participate in the “pre-recital pack”: As your students leave their final lessons before the recital place a copy of their recital music and their recital certificates into a folder and check off their names on your program. This saves a lot of last-minute packing, checking and re-checking. Bring your own bench: If you have your own adjustable bench, bring it to the recital. With two benches available, your students can choose the bench best suited to their height. This will save you and your back from setting bench height every time a new student hits the stage. Pre-address envelopes: If you send out congratulatory post-recital postcards, have your “teen helpers” hand out blank envelopes to each family that can be addressed and then returned. This makes getting those cards out in a timely fashion a piece of cake. You can use our post-recital postcards found here. Keep audience members in their seats: It seems that in our over-booked world, people are always rushing off to the next event before the first one is even done. As a piano teacher, nothing is more stressful than a recital that ends… empty. To keep audience members in their seats until the very last performance, check out our tips here. Plan a post-recital potluck: If you like to throw a party after your recital make it a potluck. A simple sign up sheet indicating which families will bring which items will ensure guests are treated to a wide variety of refreshments and party paraphernalia… which don’t have to come from your own kitchen. 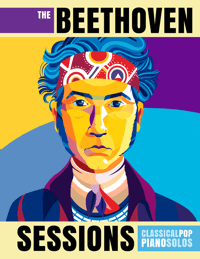 Stressed About Recital Repertoire For Teen Beginners? 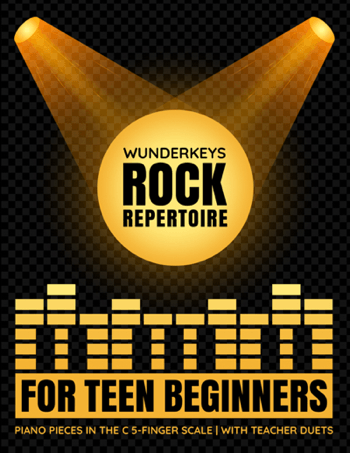 Last week we released the first book in our new series of repertoire for teen beginners. 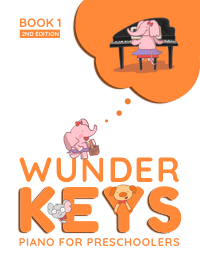 In WunderKeys Rock Repertoire For Teen Beginners you will not find Twinkle, Twinkle, Little Star, My Bonnie Lies Over The Ocean, or Mary Had A Little Lamb. 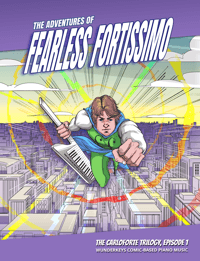 Instead, you will find rock-infused music written just for teens in their first year of piano lessons. 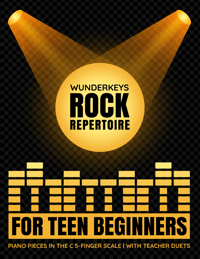 The 14 pieces in WunderKeys Rock Repertoire For Teen Beginners are set in the C 5-Finger Scale and are accompanied by full teacher duets to create an inspiring musical experience. 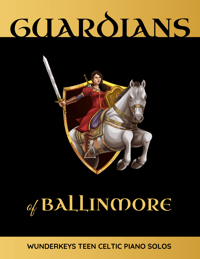 Check out the audio samples below and if you like what you hear head on over to Amazon here to get this book today.